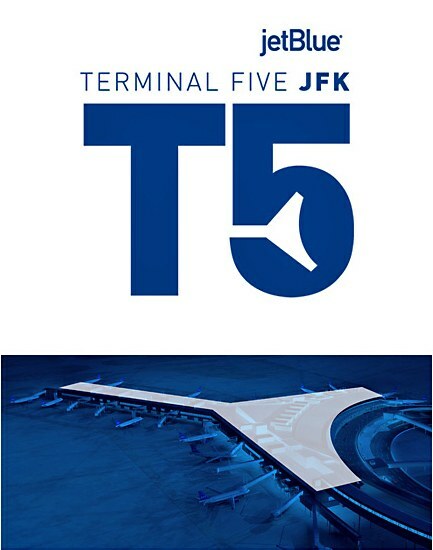 Working with building architects, Gensler, and brand experience designer David Rockwell, JetBlue's in-house design team brought the JetBlue brand and experience to life in support of the airline's new Terminal 5 at New York’s JFK International Airport. Through a T5 logo, bold color, an iconic wayfinding system and multiple unexpected design elements, the team developed a unique, playful identity and signage platform. 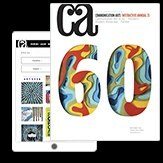 The solution takes inspiration from the building's design details—the shape of the building footprint is repeated in the cutout in the number five of the logo and the honeycomb pattern in the backlit walls in the terminal's security, baggage and food court areas is used as a graphic treatment for wall signage.